Over the past few years, Google has been playing around a lot with audiences. From the introduction of in-market audiences for search last year to the more recent release of detailed demographics, they’re most likely far from done changing things up. The fast-moving nature of search advertising is one of the things that makes it so exciting. To be a PPC superhero, you need to keep pace and constantly update your best practice along the way. Sometimes that means throw out the old rulebook, and A/B testing anew. And that’s exactly what I’ve done here with an up-to-date list of my recommended dos and don’ts for search audiences. Now, whether you’re relying on manual or automated bidding matters for audience strategy. As Google’s smart bidding simplifies things quite considerably, I’m mostly focusing on manual bidding in this article but I’ll share a few tips for smart bidding as well. A quick recap: audience depth is the spend through all audiences divided by total spend. Modified audience depth is the spend through all audiences with a bid modifier applied divided by total spend. Maximizing audience depth gives you more data points to optimize toward. Even if an audience has a poor CPA, applying it should still be considered a success because it lets you identify an opportunity for optimization. Research has shown that audiences have been chronically underused in the past, although benchmarks vary a lot from one industry to another. Long story short, audience size matters. 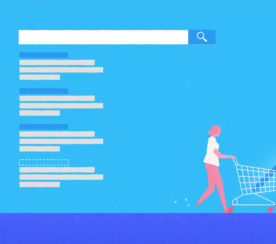 We used to recommend making granular remarketing lists for search ads (RLSA lists) broken down by recency and intent, and keep them mutually exclusive with custom combinations. For example, if you’ve got the three intent groups “site visitors”, “basket abandoners”, and “converters”, we’d split those up by duration of 7 days, 30 days, and 90 days. There is such a thing, however, as being too granular. This way, audiences can end up being too small to target or collect significant data on. There’s just no point in having audiences that you can’t make any meaningful decisions with. Instead, considering creating a 540-day audience list for each one of your intent groups. Within a week of creating that audience, you’ll be able to see how large it has become, estimate how large it will become, and then decide how granularly you want to break this list down. Of course, it’s important to be aware of existing insights on your audience to accommodate it into your audience strategy and recency segmentation. OK, easier said than done. But if Safari’s Intelligent Tracking Prevention is anything to go by, third-party data might be on the way to losing its effectiveness over a few years’ time. Although platforms like Facebook and Google might be trying their best to make their tags and pixel count as first-party, the imminent release of ITP 2.1 is just one example demonstrating how cookie-based audiences are getting more and more restricted, muddling metrics and conversion tracking. If you’re able to set it up, Customer Match has the advantage of not being restricted to site visitors. You can also segment Customer Match lists depending on the information available to you (e.g., post code and last order date). Bear in mind that audience size still matters for Customer Match. With both RLSA and Customer Match audiences, you should consider excluding certain audiences from your bidding if it makes business sense. For example, if you’re in lead generation, you’ll probably want to exclude users who have signed up to your service. At a later stage, it might be interesting to remarket to these leads while optimizing towards a different KPI like revenue. If you want to assess the value of using your budget for remarketing, you can divide a group of previous customers in half and target one half while excluding the other and compare the difference in revenue between the two audiences. Google automatically creates similar audiences for search for every RLSA you create, but it’s best practice to only use 540-day audiences as your seed audience. That’s because you’re giving Google more data, so it will be able to identify the seed audience’s behavior traits more accurately. Google determines the typical behavior of the seed audience by looking only at the browsing behavior in isolated 2-hour time periods before and after the user last visited your site. Similar audiences are refreshed every 24 hours, so if a user’s behavior changed the previous day to match the seed audience more closely, they will be added to the similar list. 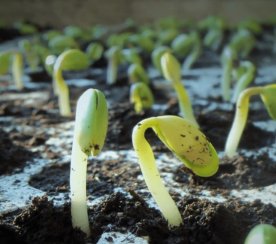 The only time you should consider using a seed audience with a shorter recency is if your site offering has had a significant change within the last 540 days. Try going a bit more granular by using semantic grouping to create multiple seed audiences, which will then allow Google to identify people who are similar to that set of users more accurately based on key browsing behavior. According to Google, in-market audiences are better for acquisition than similar audiences, with lower average CPAs. They’re also relatively easy to work with, as you only need to apply them to campaigns rather than create audiences in the shared library. 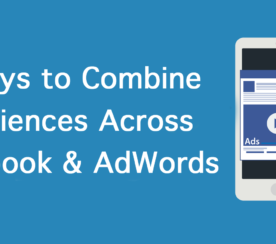 Choose the ones that are relevant to your offering with high indexes, or use the Audience Insights tool in Google Ads to find out what your site visitors are interested in. Demographics best practice is fairly straightforward: optimize your bid modifiers to achieve an equal CPA across the different ages and gender. If your account targets the U.S., don’t forget to check household income (this data isn’t as readily available in the UK and Europe). Detailed demographics are a recent addition to Google’s targeting options, allowing you to modify bids based on education, marital status, home ownership status, and parenting stages. There’s no reason not to overlay this data on your bidding to increase audience depth. 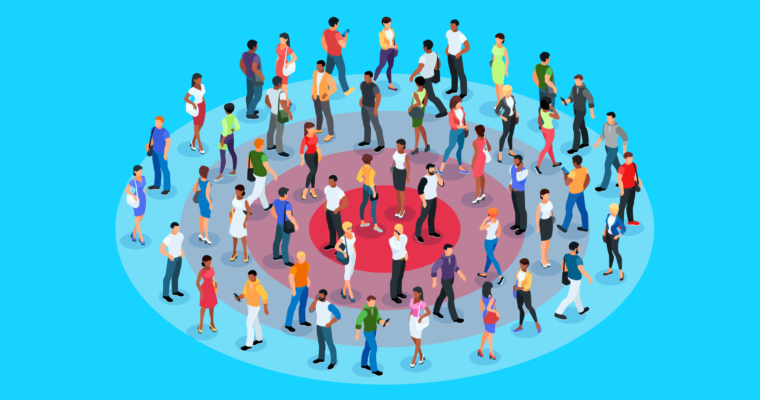 Unlike Demographics, you have to apply these audiences to your campaigns before you can start gathering data through them. You won’t need custom combinations for RLSA audiences, segmenting audiences by recency isn’t needed. Just set one 540-day audience, and Google automatically identifies how long ago a user’s most recent visit to the site was. You basically avoid having to figure out how granularly you should break the audiences down. Remember our initial goal of increasing audience depth? Well, there’s pretty much no reason to apply all of these, because they will significantly increase your audience depth. Smart bidding can take into account audience signals from up to 10 lists for one user. Google has been doing some really great stuff with audiences (and not just for search), but it’s up to you to hone your craft and take things to the next level. Machine learning isn’t going to do all the work for you (yet?). I have no doubt that Google has got more up its sleeve, and is working on more audience targeting possibilities as its machine learning capabilities improve. Make sure to keep a keen eye open and, as always, stay adaptable. In the meantime, I hope that this list of dos and don’ts will help you on the way to PPC greatness!